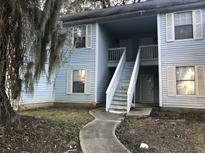 Below you can view all the condos for sale in the Woodhill Place subdivision located in North Charleston South Carolina. Listings in Woodhill Place are updated daily from data we receive from the Charleston multiple listing service. To learn more about any of these condos or to receive custom notifications when a new property is listed for sale in Woodhill Place, give us a call at 843-536-4108. See seller disclosure for regime info, $'s etc. MLS#19007950. Re/Max Pro Realty. Completely renovated Bathroom. Fireplace Move in ready MLS#19003066. Carolina One Real Estate. Buyer is responsible for verification of all listed information including square footage. More photos coming soon MLS#19003243. Agentowned Premiere Group. This unit is a must SEE.. SHOW & SELL MLS#19002799. Agentowned Premiere Group.